Of all the wonders in the world, few have the incredible mystery and allure as the sky-high, gravity-defying, mountaintop estate of Machu Picchu, and for good reason! From the bustling capital city of Lima, to the traditional stone streets of Ollantaytambo, and from the ancient fortress of Cusco, to the jaw-dropping ruins of Machu Picchu, Peru is a country of incredible contrasts. The country with the “WOW” factor, and a destination on everyone’s must-visit bucket list. Our 8-day trip through Peru mixes our laid-back travel concept with Peru’s most unique and memorable sites to form an adventure that you’ll be talking about forever. If you've ever dreamed of soaking up the incredible mountaintop Inca ruins of Machu Picchu, taking a scenic train journey through the Peruvian Andes, or walking in the footsteps of an ancient civilization, join us for an incredible 8 days you'll never forget. Most travelers will arrive into Peru's largest airport in Lima on day 1 and meet at our starting and ending point in the community of Miraflores at 4pm to start our adventure. Our time here in Lima is spent exploring the highlights of the city including the rich history, the famous culinary scene, and the naturally beautiful coastline. Lima may not be on the list of the world's most wild gay communities, but there is plenty of nightlife and a very welcoming community in Miraflores. 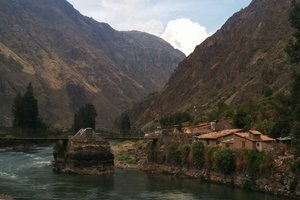 On our second day we jet off into the Andes Mountains on a 90-minute flight to Cusco, then down the road into the Sacred Valley to spend two nights in the beautiful town of Yucay. The altitude here is over 2000 feet lower than Cusco so staying in the valley will assist with the feelings of the higher altitude compared to Cusco. 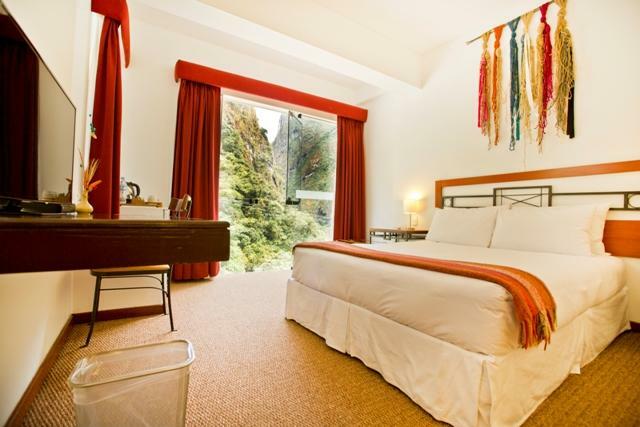 Surrounded by history and natural beauty, our two nights here are an opportunity to immerse ourselves in the ancient times of the Incas who ruled over this area hundreds of years ago. The beauty of the area and the surrounding Inca ruins ensure this is an unforgettable stop in Peru. Included during your time here is a full day of exploring the ancient salt flats of Maras, the unique ancient agricultural site of Moray, and the historically significant mountain town of Ollantaytambo, complete with cliff-side ruins! Our fourth day is a day that’s surely been in your mind for many years. 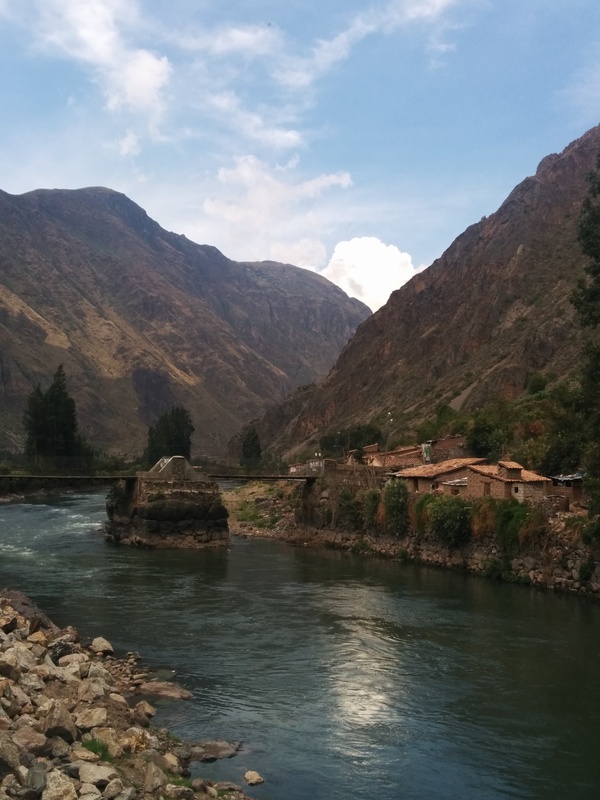 We depart Ollantaytambo in the morning on a 2 hour train journey through the Andes, winding along the Urubamba River. Before long we arrive in the mountain town of Aguas Calientes, names after the hot spring flowing nearby. From Aguas Calientes it’s only another 20 minutes by bus to the unforgettable mountaintop ruins of Machu Picchu. Our first two hours here is spent exploring the ruins with our favorite local Peruvian guide, who was born and raised in the area and an expert on everything Machu Picchu. The rest of our day is spent soaking up the incredible site which was lost to the outside world for many centuries. Instead of rushing off the mountain to catch the train back out of town, we stay the night at the base of the mountain in Aguas Calientes, giving us what seems like Machu Picchu all to ourselves. 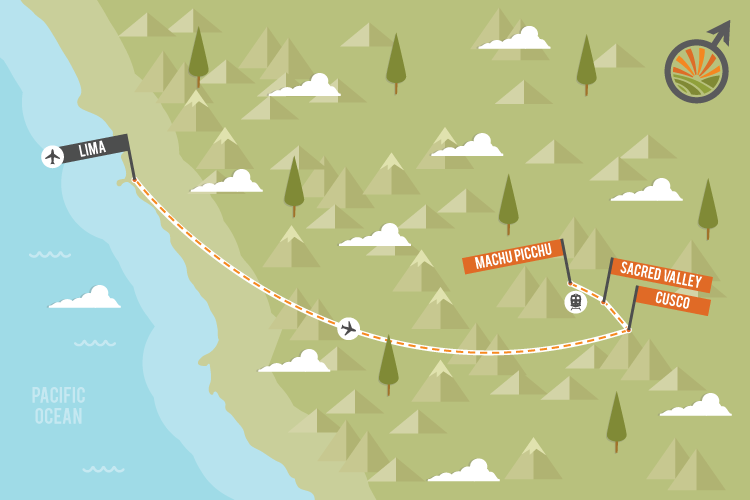 On day 5 we leave time for catching the sunrise at Machu Picchu or braving the hike up Wayna Picchu before jumping on the scenic afternoon train and heading back to Cusco. 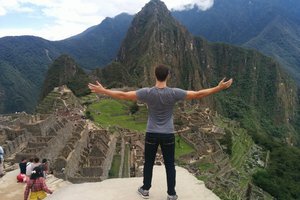 Our three-night stay in Cusco gives us time to visit many of the area’s ancient sites, taste the unique local food, take part in a hike, and even experience some gay nightlife way up in the Andes. It’s true, the city of Cusco is perched high up in the Andean mountain range at an altitude of approximately 11,000ft (3,000m) above sea level. The air up here is clean and surprisingly warm (during the daytime) and the city is a contrast of ancient stone streets and cathedrals scattered among a modern commercial center. Cusco is a destination in itself as well as a jumping off point to the Sacred Valley to the west, the Amazon to the north, and the higher peaks of the Andes and Lake Titicaca to the east. 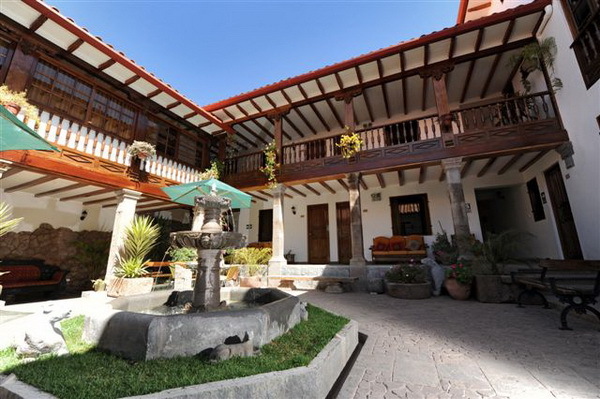 Although we fly into Cusco from Lima, our three nights here come after our visit to the lower altitudes of the Sacred Valley and Machu Picchu in order to avoid the effects of Cusco’s altitude, so there’s absolutely no need to worry about the altitude here! The 8th and final day of the trip is our goodbye and "hasta luego" day. Travelers are free to depart from Cusco at any time of this day, or continue on with our 12-day travelers or towards any other incredible sites Peru has to offer! Our advice is simple. Pack your bag, then take half of those things out and leave them back home. It’s common to hear people wishing they’d packed less stuff, but we’ve never heard anyone complain that they didn’t bring enough. Even if you realize you forget to pack some crucial item you can always pick up a replacement once you arrive in Lima. We'll include some trip-specific packing advice based on expected weather as part of our update email to you, sent 60 days prior to your trip. We REALLY suggest just bringing your regular bank card from home and using the local ATMs to get cash; in our experience it’s much cheaper than any currency exchange service in Peru or even at home. Peru uses Nuevo Soles as their local currency, although US Dollars and credit cards are also commonly accepted at most restaurants. Tipping isn’t a native Peruvian custom, however, it is always appreciated by local service staff. We suggest tipping for any services that go above and beyond expectations. That extra dollar or two on a dinner bill is very appreciated by the service staff. Our local guides during the trip are the exception to this, as their position has come to expect tips for a job well done. We have pretty high standards when it comes to choosing our accommodations, and trust us, we’ve done plenty of room-sniffing, pillow-patting, and bathroom inspections to make sure we stay at quality spots. To be approved as a Detours accommodations provider, a guesthouse must: be locally owned (to support the local community), be in an amazing location (close to the hot spots), AND be gay-owned or gay-friendly. We won't be staying in 5-star Ritz-Carltons but we also won't subject you to anything we wouldn't want to stay in ourselves. Clean, comfortable, well-located spots that'll put a smile on your face, you can count on that! 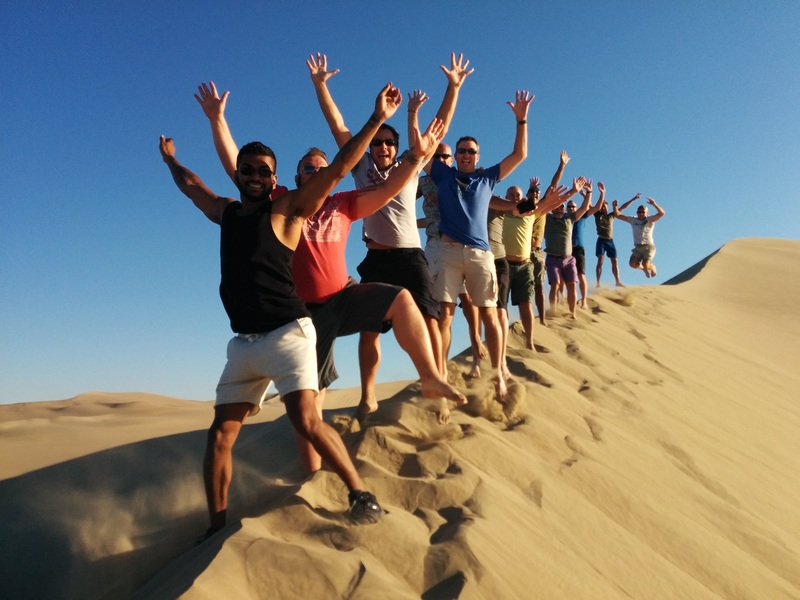 All of our trip leaders are gay, and all certified leaders must undergo a rigorous training routine that includes deep-fried cricket eating, and impromptu dancing tests. Apart from these vital skills, we require our leaders to know their stuff really, really well. Underneath their fun and quirky facades, our trip leaders are experts and passionate about what they do. Don’t hesitate to ask them to teach you some Spanish or question them about a random statue you might see along the way. 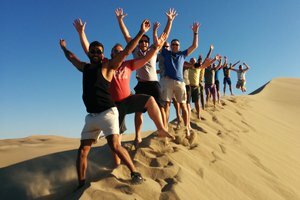 Their job is to help ensure that this is your trip of a lifetime by taking the hassle out of your trip and enabling you to experience everything you came to Peru for. We do absolutely everything possible to avoid needing such a mundane awakening. A world without alarm clocks is one we want to be part of, and your “rise and shine” while in Peru should come from the sound of crashing waves or church bells in the distance. However, sometimes we are required to make early departures, but we do everything we can to minimize this. For many people, 8 days in Peru just isn’t enough time. If you’re lucky enough to be able to stay longer, or if you decide to quit your job and become a beach bum in the South America for the rest of your life, we’d be happy to help you extend (or cancel!) your return flight. We’ve been all over the area, so don’t think twice about asking where to go or what to do after your Detours trip is complete. Brazil, Colombia, Bolivia, more of Peru... many interesting destinations are close-by. Additional spending budget? Your big-ticket items are included through the trip, but you'll want to budget for additional spending such as additional meals, drinks, shopping, activities, etc. These costs can vary dramatically with differing personal habits but we suggest expecting to spend an additional $600 USD at the lower end for the more budget-conscious and $1000 USD at the higher end for the splurgers. We suggest arriving to Peru with approximately 1000 local Peruvian Soles. Solo traveler? We'll pair you up with another solo traveler at no cost, or pay just $590 USD for a private room. First time with Detours, and it was a blast. I was hesitant to go by myself--show up solo--but the tour was full of fun group activities. There were a few unexpected changes to the itinerary (cancelled flight, delays), and Detours quickly attended to it. It was a time to relax and meet new people. 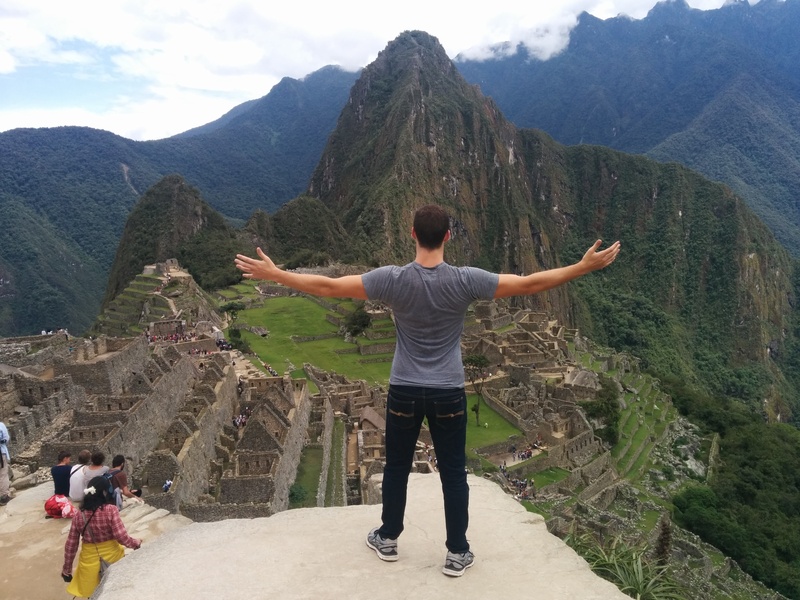 It’s an adventure of a lifetime that you can’t get enough of... the moment I came back from Peru, I was planning my next adventure with Detours. Left with fond memories with newly found friends under the very able guidance of an amazing and engaging trip leader. 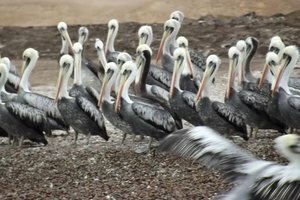 My partner, Richard, and I just returned from a wonderful trip to Peru with Detours, my first Detours experience, his second. We had great weather for Machu Picchu, Cusco, Paracas and the Nasca Lines, enjoyed the hotels, from Lima to the Valle Sagrado, and experienced some excellent Peruvian food - even had a surprisingly wonderful cooking class (thanks Chris!) We managed the high altitudes well and enjoyed the challenges of all of our activities. It was an extremely active and fascinating tour, very well planned, and very diverse. The people we met on the tour were an interesting group, with varied backgrounds and turned out to be great travel partners. We met several who we will continue to see, proud to call them friends. Then there was our tour leader, James. What a excellent man. His energy, commitment to Detours and our successful travel experience, and kindness helped make it one of the best vacations I've ever had. He has a great sense of humor and an insightful awareness of the needs of his charges and he loves to travel, a love which boosted our appreciation of what we were undertaking. I only corresponded with Miles but I felt taken care of in preparation for our trip thanks to him and the trip itself was superb - wonderfully executed. The trip to Machu Picchu was perfect. It is a magical place that is all that you read about. Our trip was very well organized and everything ran like clockwork. Miles is a terrific host and guide and really cares about people getting the most out of their trip. I have traveled with other tour groups and this trip ranks right up there as one of the best. You will not be disappointed! Peru May 2018...from start to finish, every detail was seamless, excellent group leader (James) took good care of us each step of the way and he is funny also, lends to the overall enjoyment of our trip. Yep, gonna book another Detours trip soon, had soooo much fun!